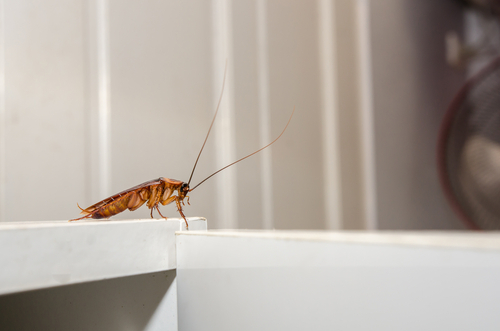 Here are tips on catching cockroaches in your home. your house without knowing how they entered your home won’t help you to get rid of them. It’s normal to drop foods on the floor when eating, especially if you have young children in your home. Like many other household insect pests, cockroaches go to places where there is food. Cleaning the house thoroughly after every meal will help you to ensure that cockroaches don’t enter your house. However, if you want to catch them, you are advised to leave some food leftovers probably on the floor or sink to attract cockroaches. The only problem is you will be forced to wake up in the middle of the night if you want to catch them. Apart from leftovers, moisture and leaking water are also known to attract cockroaches. Check your water piping system to see if there are any water leakages. If you notice any, they can serve as a trap to catch cockroaches and eliminate them from your home. With enough water, cockroaches can stay without eating anything for months. Once you catch enough roaches in these areas, you are advised to repair them to prevent further leakage, which will only attract more cockroaches. Additionally, don’t leave stagnant water anywhere in your house, including your kitchen and bathroom floors and sinks. Also, avoid applying excess water to your indoor flowers and other plants. elimination of cockroaches from your home. kinds of problem for many years. This means that they know how to identify their hiding spots, catch them, and remove them from your house. Also, they have the necessary tools and equipment required for this kind of work. Make sure that you hire a trustworthy company that uses friendly materials to catch cockroaches. Some chemicals could be harmful to your health and loved ones. your home is cool enough to prevent cockroaches from invading your home and breeding. As much as you don’t have any power to control the weather, you can always control what’s happening in your home. Make sure that you maintain normal temperatures inside your home regardless of the weather outside. 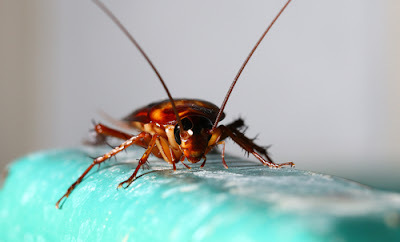 Keeping your home cool will help you to get rid of cockroaches. To catch the ones already in your house, allow a specific area in your home to maintain high temperatures. All the cockroaches in your home will move to this region. This way, it will be easier for you to catch them and eliminate them from your house for good. Another effective way to catch cockroaches in your home is using gel bait. Use this bait in areas where cockroaches like to hide, including wall cracks, beneath baseboards, inside the drawers, under sinks, inside cabinets, behind refrigerators and crevices. Any place where roaches are likely to be attracted to is an ideal region to apply the get bait. One thing that you should know is that this bait is very effective. This means that there will be a lot of dead cockroaches in these places in a few days. You must be prepared to get rid of these dead cockroaches every day until you are certain about their extinction from your home. Using bait station is another effective way to catch cockroaches in your home. These systems are used to attract cockroaches to places where they like to hide and feed them poison. 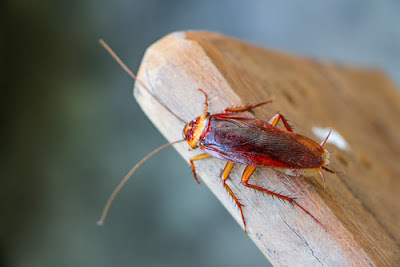 If other cockroaches feed on the dead roaches, the poison will be passed to them and they will eventually die. This method is recommended, but bait should be applied in places where children and pets can’t access. Using glue to catch cockroaches is also an ideal way to eliminate them from your property.